Today, I came across this interesting Ted Talk “Leyla Acaroglu: Paper or Plastic? Debunking An Environmental Myth”. It’s a short but sweet post. I hope you all enjoy it! 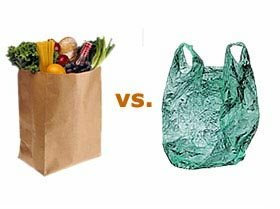 Overall, the best option is a reusable bag.